Although the timescale can vary, this chart provides the typical amount of time it could take for you to get an IVA. Draft IVA proposal prepared by the Insolvency Practitioner. The Court grants the Interim Order. Interim Order application is issued to you. Clients will be required to file the paperwork with the court or swear before a solicitor and have the IP file on their behalf. Draft IVA proposal sent to you. Draft proposal returned to IP. It is updated and formally served on the Nominee. Notice of Creditor's Meeting is issued. They are provided with copies of the Proposal, Nominee's Report and Proxy. Nominee's Report is filed at the Court. The Creditors hold their meeting with your Nominee. This meeting is held no longer than 28 days from the hearing of the Nominee's Report. 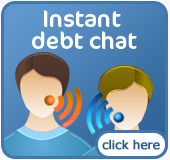 If more than 75% of your creditors (by debt) and 50% of your creditors (by number) agree, then you have your IVA. These timescales can be shorter but are dictated greatly by the Court and the Insolvency Act 1986, which we have available on our Helpful Contacts page. There is also little allowance for the period of time that it takes a client to complete their paperwork and return it to the Insolvency Practitioner. 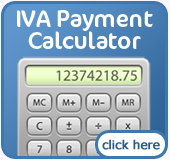 The sooner you apply, the sooner you will get an IVA.